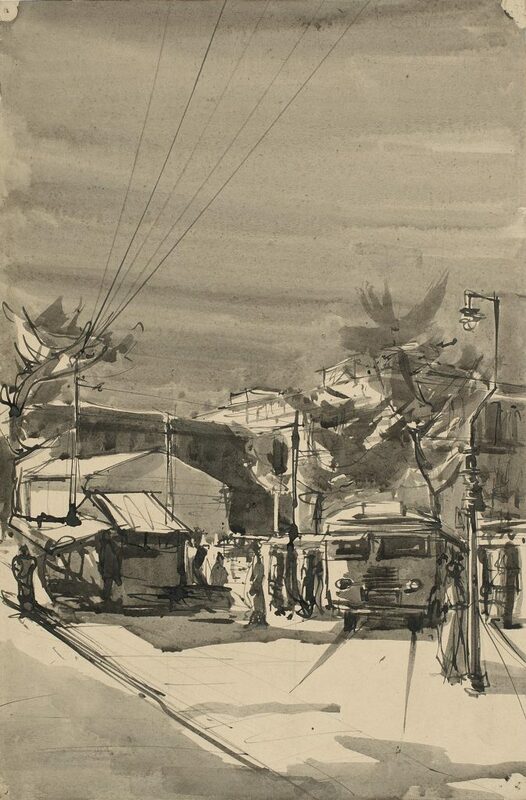 Born into a middle-class Bengali family, Bikash Bhattacharjee went on to become prolific in a style that was simultaneously traditional as well as realist. His subjects consisted of portraits of people from different walks of life. He gathered his visual and intellectual ideals from the politically charged atmosphere of Forties’ Calcutta where his family had settled. Like a lot of his contemporaries, he was sympathetic to the principles and objectives of the Communist Party, sharing their cultural values. But his highly individualised perception and interpretation of the world differed from the imagery representing either political leaders or suffering people. 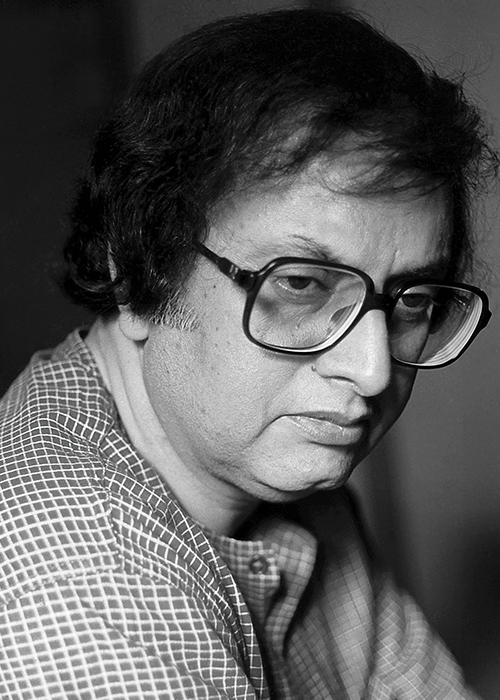 Bhattacharjee’s characters were treated as more than just representative of their class, but were imprinted as individuals, each with a well etched subjectivity. 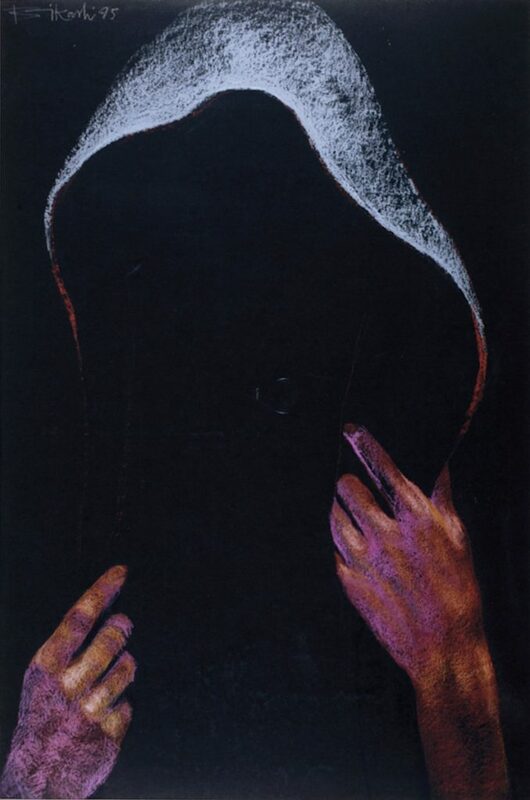 The end of the Sixties up to the mid-Seventies was marked by a series of surreal paintings, with a subtext of the demonic or subhuman in a setting of either dark fantasy or farce. The Doll series, conceived in 1971, was the artist’s emotional response to the traumatic experience of violence that erupted across Calcutta at the time. 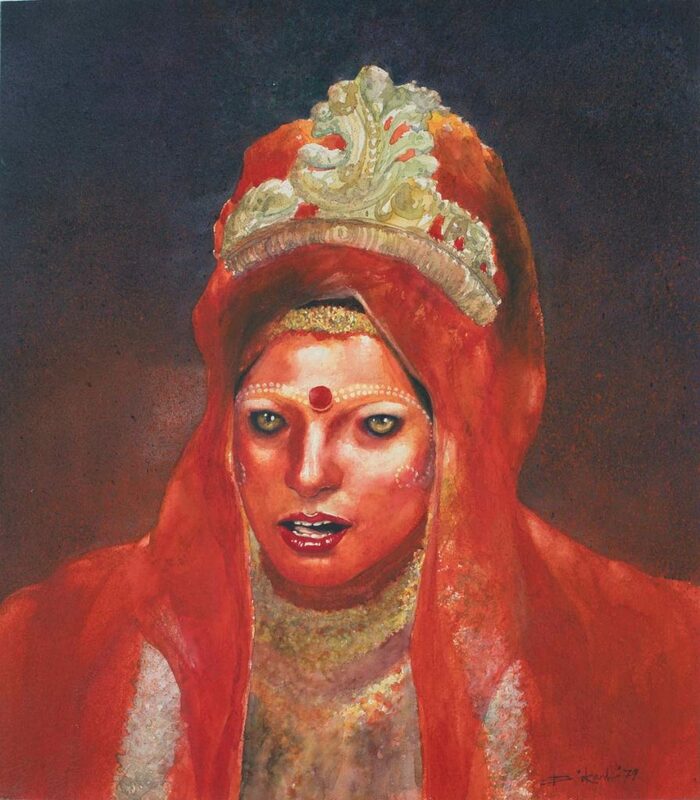 Here, Bhattacharjee came close to the abstract mode of portraying humans as dolls with erased eyes, wiping out any individuality. The allegoric vision of the subverted feminine in his portraits of prostitutes, middle-class women, or women with extreme sexual appeal, is a subjective theme in his work. 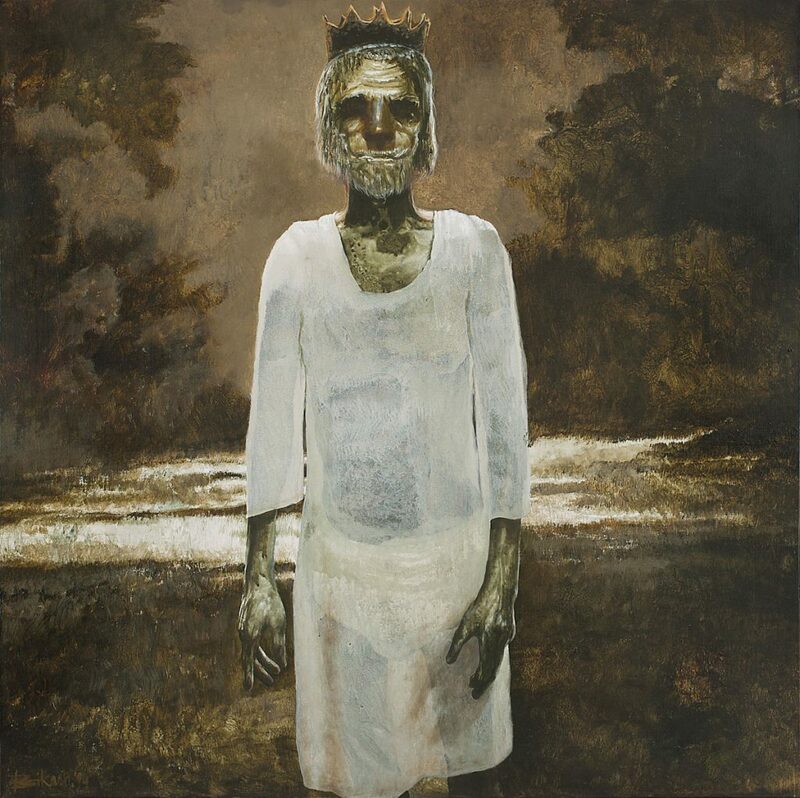 Bikash Bhattacharjee was widely awarded in life – by the Academy of Fine Arts, Calcutta in 1962, Lalit Kala Akademi’s National Award in 1971, the Bangla Ratna from the state government in 1987 and the Padma Shri by the Government of India in 1988.